As always, your continued support means everything. 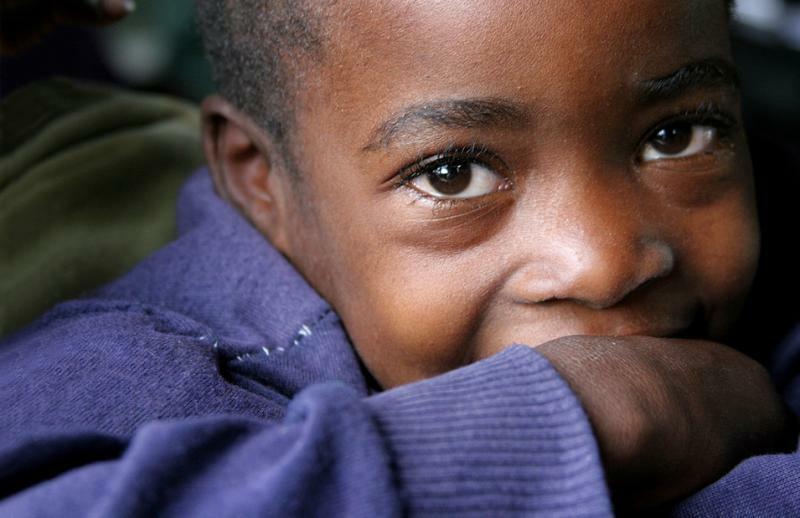 The child's life is the path, and YOU make the difference! 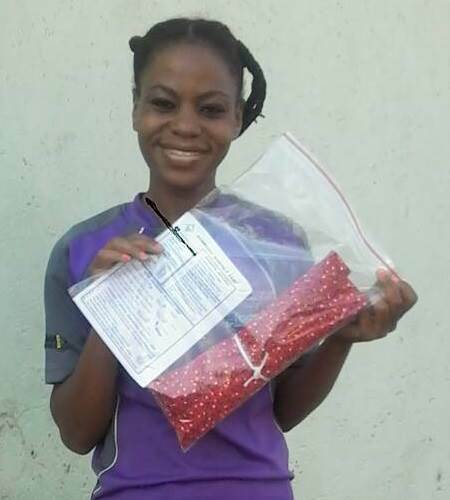 To find the ways you can get involved with our programs, which are providing services both here and in Zimbabwe, check out the SHOP. Also please read our annual letter! And the note from our President of the Ancient Ways board. call the office to donate over the phone at 877-TATENDA or 541-259-HOPE. 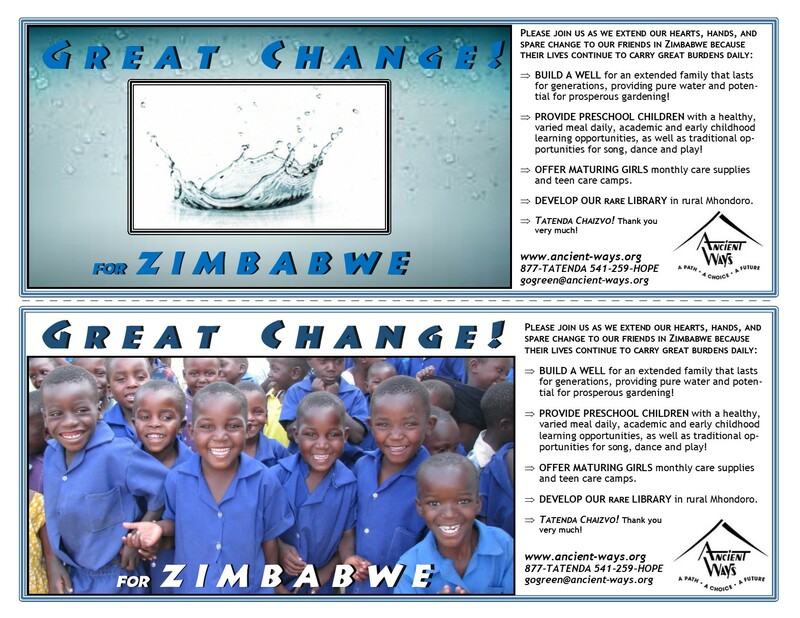 If you are interested in a "penny (or spare change) drive" please feel free to use either of these GREAT CHANGE FOR ZIMBABWE labels on a half-gallon or gallon jar. We have always been able to do a great deal with very little. Every amount matters! Through the office, a recurring credit card donation can be set up for monthly, quarterly or annually, or through a bank draft you can set up a recurring check. Either of these options lighten our task immensely because the committed funds help make budgeting and planning much easier. When you use amazon for purchases, use smile.amazon.com and choose Ancient Ways in Scio Oregon as the non-profit of your choice for Amazon to make their donation. Check with your employer to see if they have a matching funds program which can double your donation, or give based upon your community volunteer hours. Become a member of Ancient Ways! Volunteer! 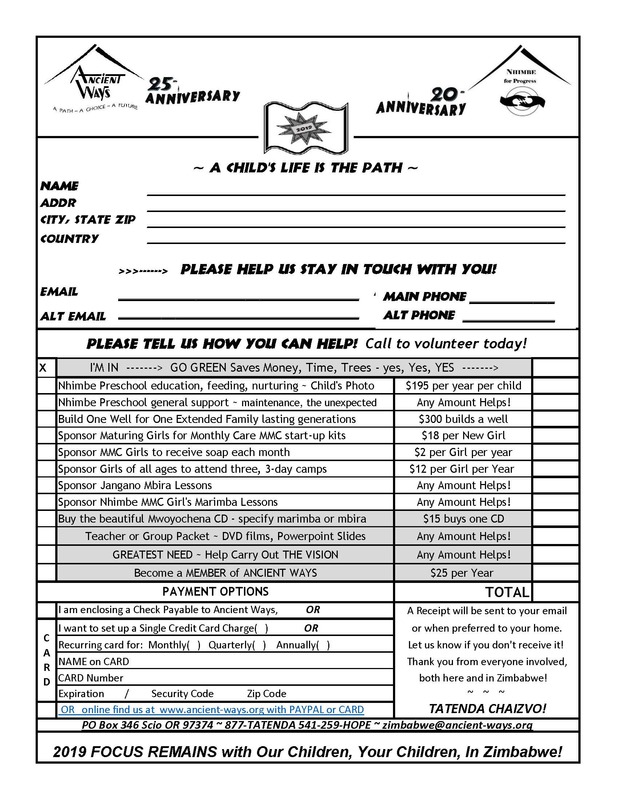 We are a grass-roots volunteer based organization that has many specialized needs...your natural talents can help us meet goals! Share us with your friends in whatever way you can...help us tell the story!